Purchase this product now and earn 64.95 - 64.95 Points! 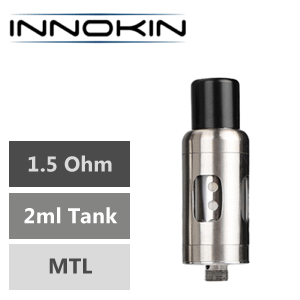 The Endura T18 II Prism from Innokin is a nifty little tank with bags of capability. 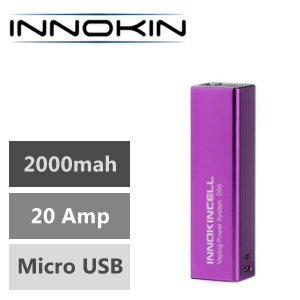 Although the Prism is designed for use with both the any Innokin Endura product. 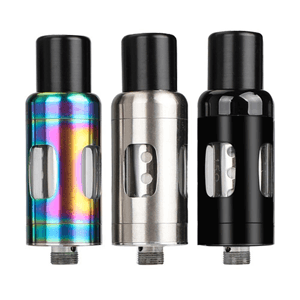 Furthermore, this versatile tank can in fact be used with any 510 compatible device. A 2ml e-liquid capacity will keep you well-supplied with your favourite e-liquid all day long, whilst a 1.5ohm coil translates your liquid into delicious vapour which is surprisingly thick for such a sleek classic-style kit. Made from durable Pyrex and stainless steel, the Prism T18 II is extremely sturdy and robust despite its lightweight construction and is more than capable of withstanding the knocks and scrapes of day-to-day life whilst using the same reliable T18E Endura coils. 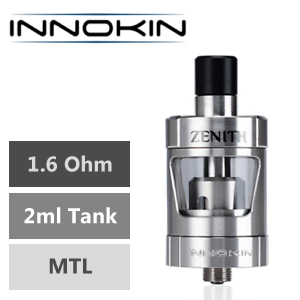 Please be aware that this tank will only work with the T18 E coils, which are available in a choice of resistances to suit your preferred style of vaping.